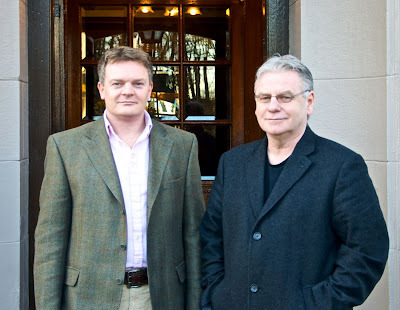 ELITE Ayrshire Business Circle founder member Paligap has been appointed to rebrand and reposition the prestigious hospitality group Costley and Costley Hoteliers Ltd. The full service creative agency has been tasked with creating a new family of ten brands that will reflect the individual entity of each of the Costley and Costley establishments, whilst maintaining the heritage that each existing brand already enjoys. Paligap will also create new websites for each establishment and an e-commerce store for a new Costley and Costley retail venture centering around the groups own manufactured produce. Costley and Costley is an extremely successful business focused on top of the tree dining and hospitality. With hotels and restaurants such as Lochgreen, Brig o’Doon and the new Beresford, the company caters for a range of markets and has become recognised throughout the nation as one of the leaders in their industry. There are currently 621 Ayrshire business stories permanently archived on this site. To locate those of most interest to you, please use the site search facility in the top left hand corner of this page. Type your search term in the white box, then click the magnifying glass symbol.